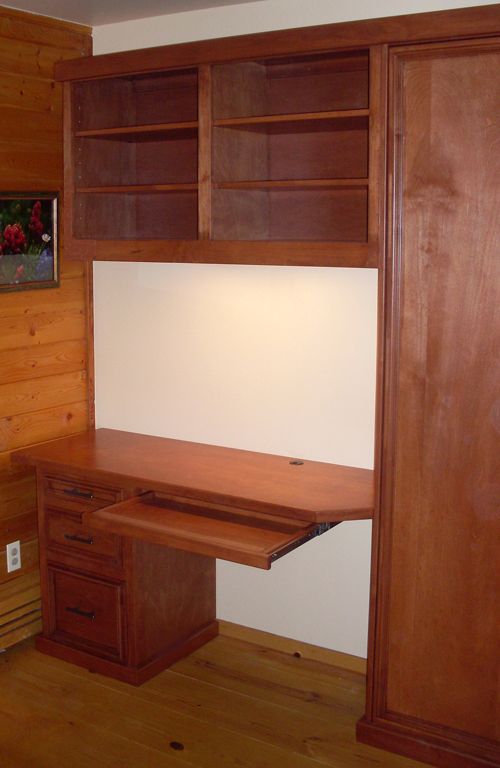 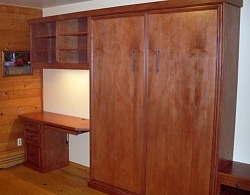 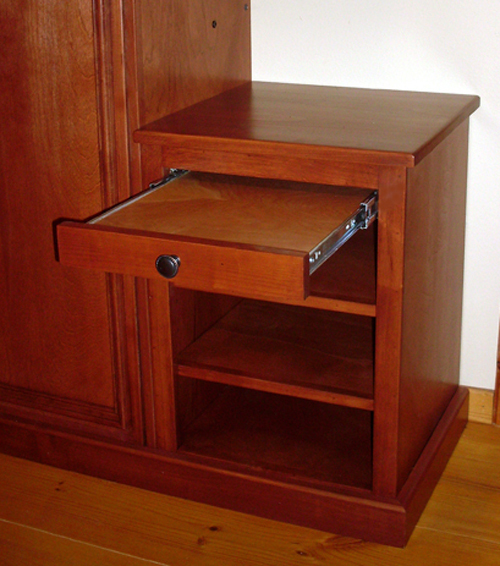 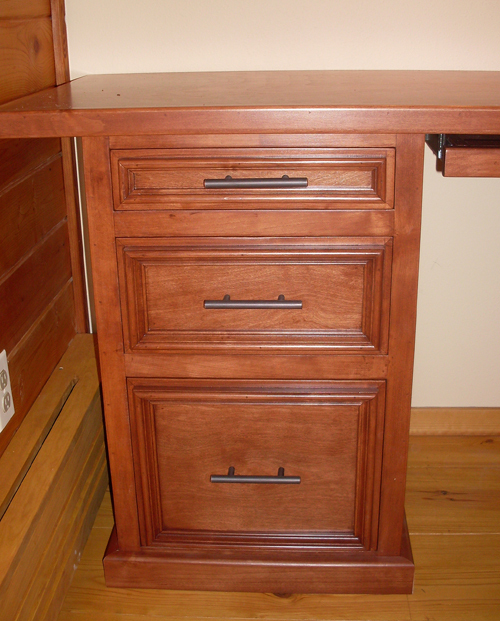 A queen bed with attached nitestand, bookcase, desktop, and pedestal bank of drawers. 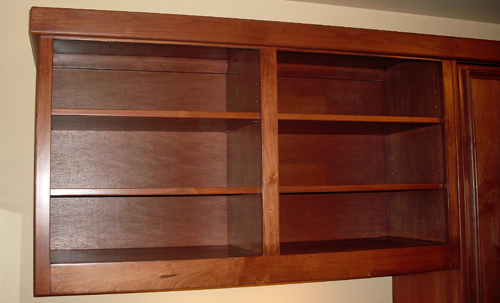 Finished in a custom wood stain. 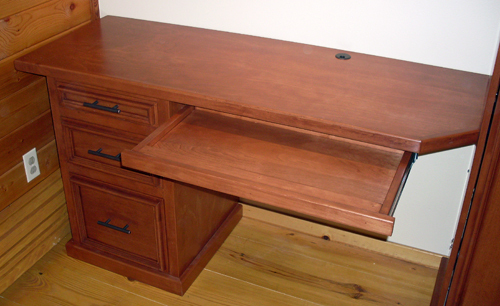 A perfect addition to a guest room / home office.